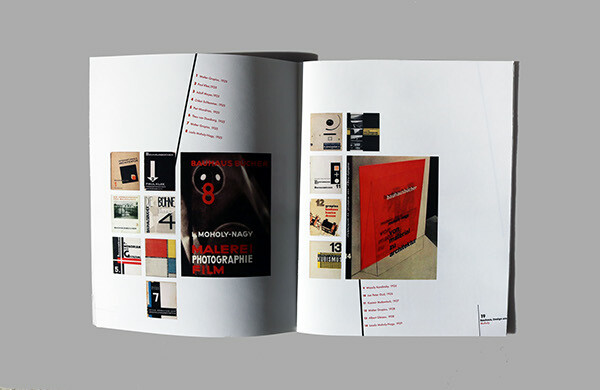 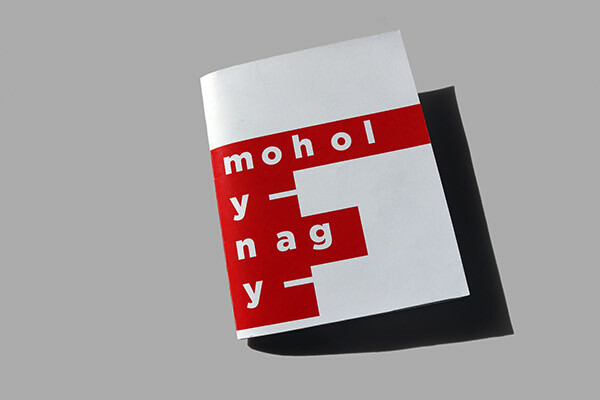 Moholy - Nagy, was a prolific artist, educator, and writer. 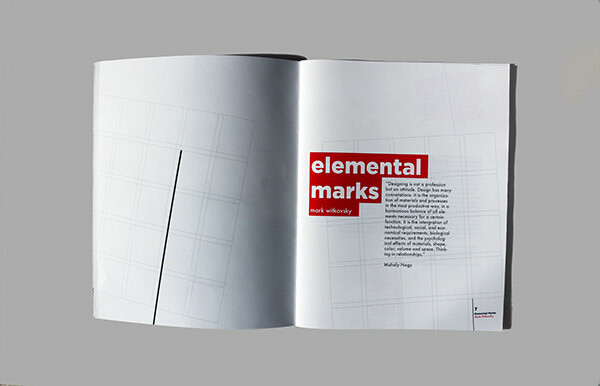 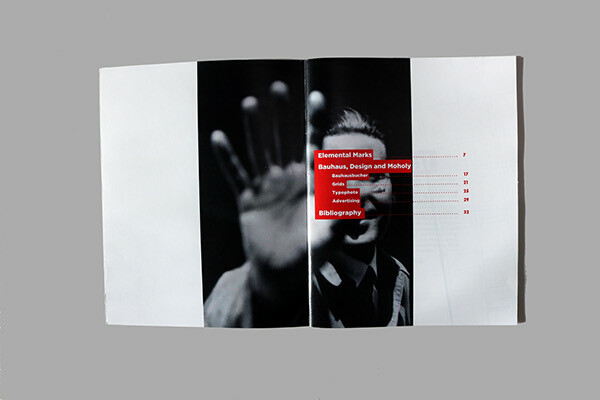 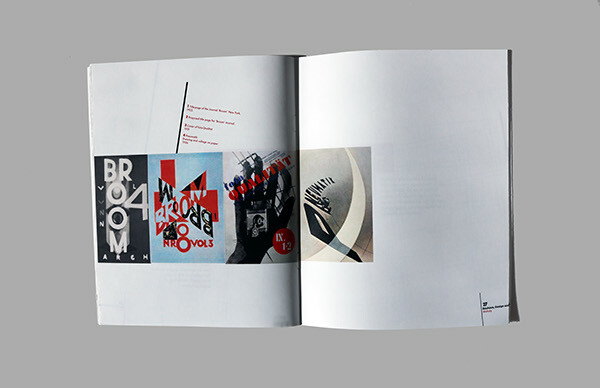 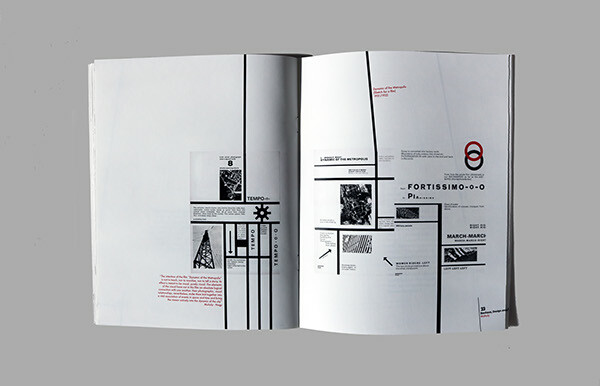 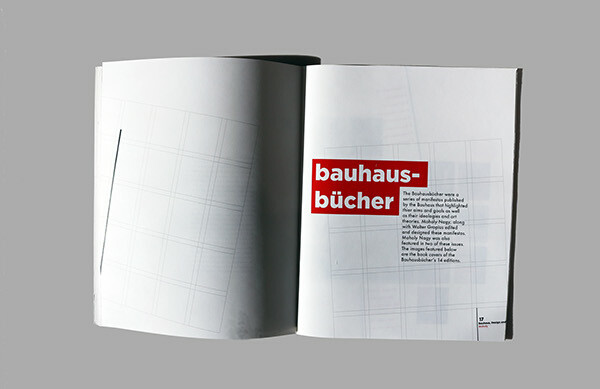 This book focuses on his Bauhaus years, where he experimented with graphic design and the use of grids, both as a graphic element and as a tool for hierarchy and layout. 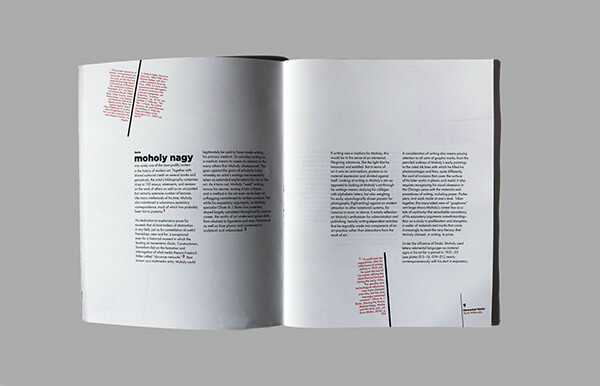 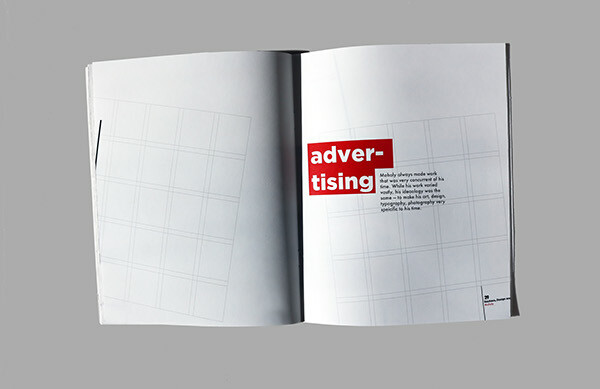 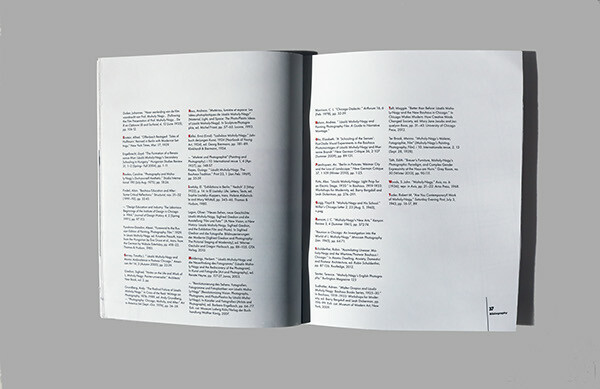 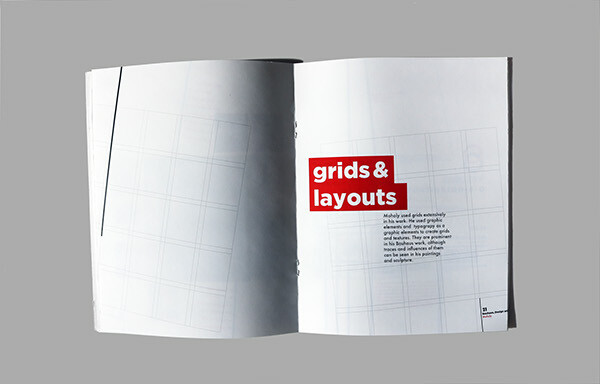 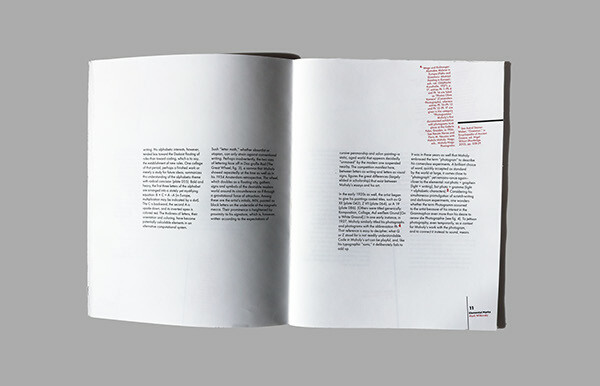 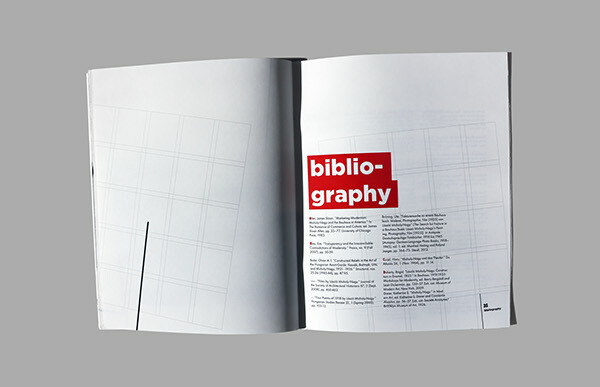 Inspired by Nagy's use of grids, I used two grids — one that is a simple modular grid and another angled modular grid placed on top of it.All the primary information typeset on the straight modular grid and the secondary information like footnotes on the angled modular grid.